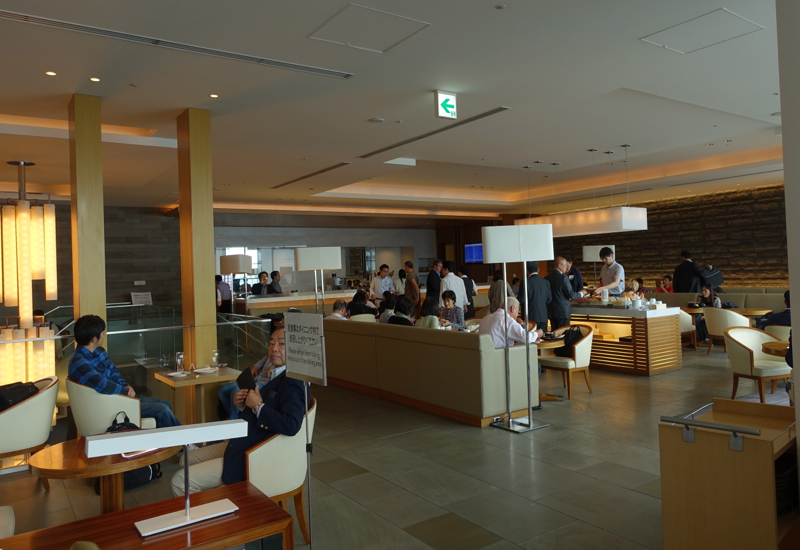 This Japan Airlines Business Class Lounge Review, Tokyo Narita Airport is part of a trip report including Qantas First Class, British Airways Business Class, Japan Airlines Business Class, and luxury hotels and dining in London, Dubai, and Hong Kong. Japan Airlines' Sakura Business Class Lounge is located in Tokyo Narita's Main Building, Terminal 2. It's actually not just for Business Class passengers; Premium Economy passengers who have booked in advance and even Economy passengers traveling on a Y fare or even certain Saver Flex fares are able to access the lounge. 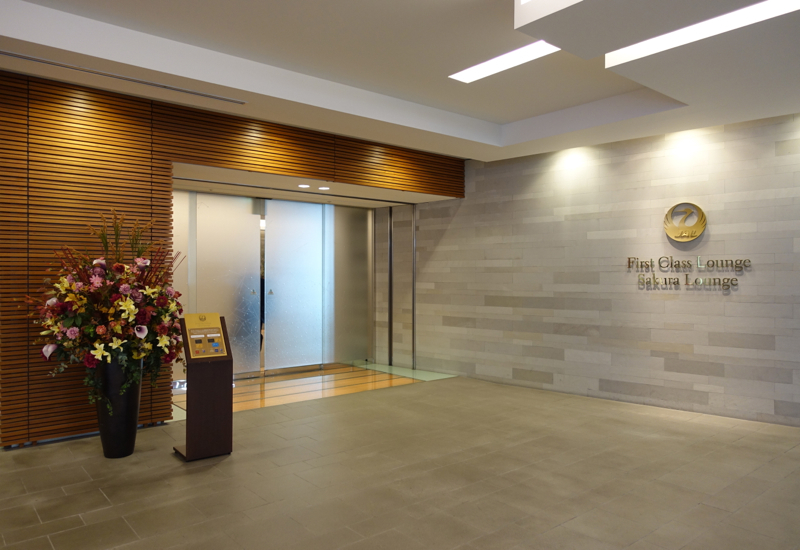 Also note that the entrance is used by JAL First Class passengers, who then proceed to the JAL First Class Lounge Reception on the left. 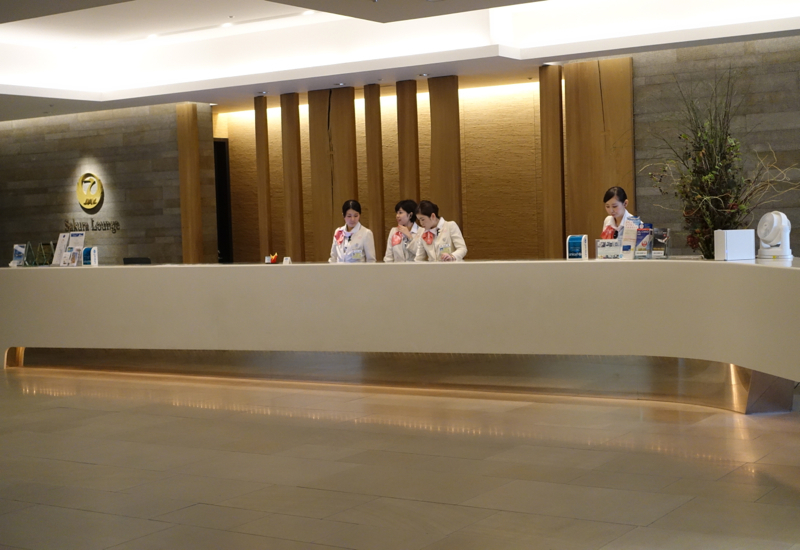 The Sakura Lounge's hours are from 7:30am until the last flight of the night. JAL's Sakura Lounge offers the usual amenities: seating, WiFi, food in the upstairs dining room, self-serve bars with plenty of alcohol and spirits, and a few more that I'll mention below. The lounge is two floors, with the main dining room on the 2nd floor and a quieter lounge space on the 1st floor. You can see the two floors in this photo, with the staircase connecting them, although we took the elevator with our rollaboard. The first floor, quieter lounge space also houses the spa. You're able to have a 10 minute treatment, with a choice of upper body care (neck, shoulders and upper back); foot care; or scalp care. Since all of my muscle soreness is always in my neck and shoulder area, I chose upper body care, and was given a time to return to the spa. 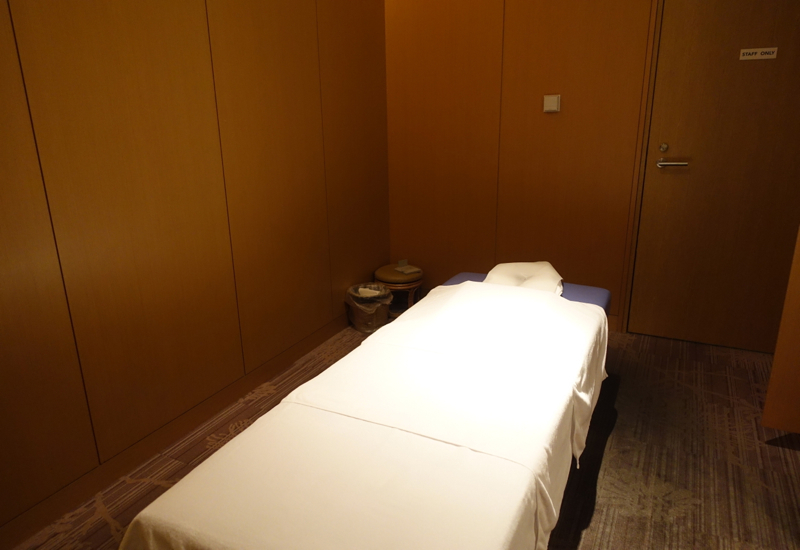 When I returned, a therapist introduced herself and led me to one of the treatment rooms. 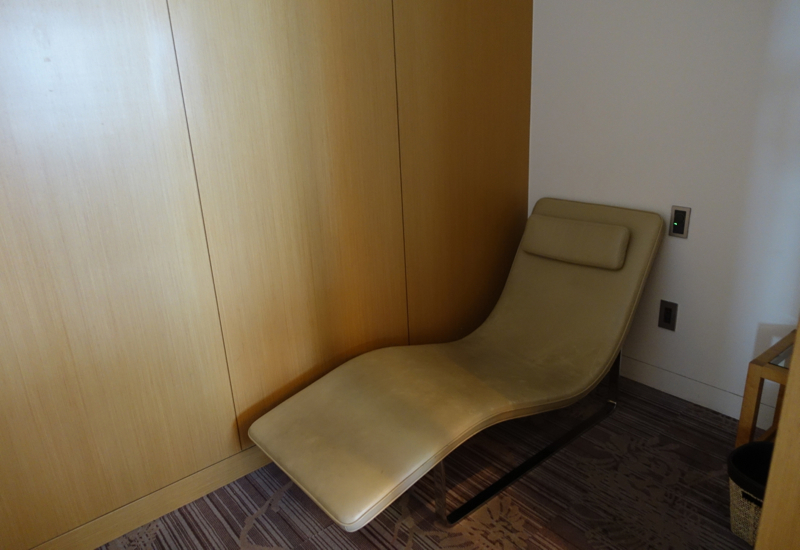 Even though it was just a 10 minute treatment, I was invited to lie down; no seated type massage chairs as are used at Elemis, in the British Airways Concorde Lounge. My massage was more accupressure than Swedish massage (which would be hard to do anyway on a clothed person) and while it relieved some tension, it wasn't nearly as therapeutic as the brief massage I enjoyed at the Six Senses Spa in the Etihad First Class Lounge in Abu Dhabi. Still, it was better than the painful Elemis massage I had at the Concorde Lounge. 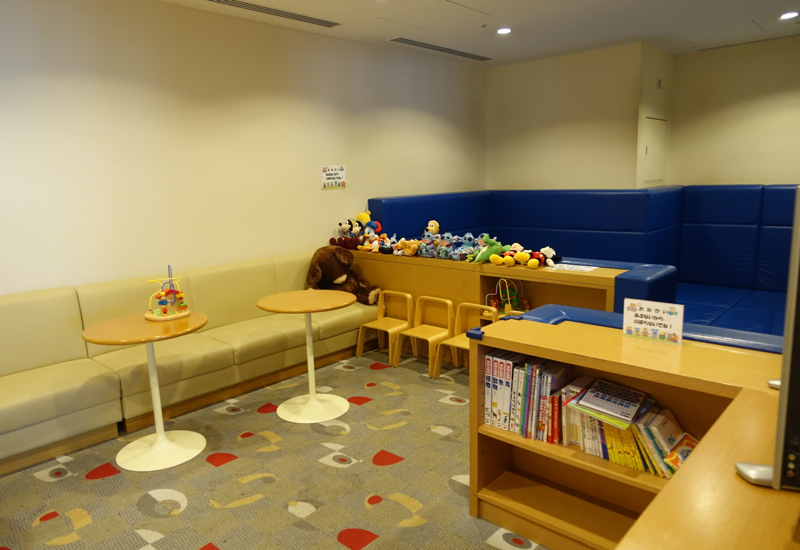 And for any smokers, there's a smoking room as well (fortunately some distance from the kids' playroom). I didn't see any sleeping rooms, but there are relaxation room cubicles, with more reclined lounge chairs than you'll find in the main area of the lounge. The main dining room on the second floor gets quite crowded, since it's the only place in the lounge with a substantial food offering; downstairs there are just drinks and cookies. I was hoping for sushi, but since we were there for breakfast, and sushi isn't really a Japanese breakfast food, I was out of luck. 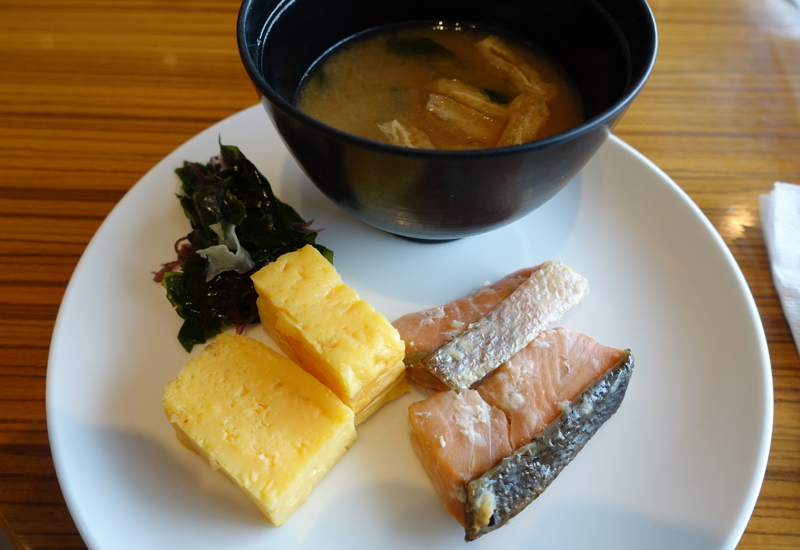 Instead there were traditional Japanese pickles, salted salmon, tamago (sweet egg omelet), miso soup and pumpkin soup for Japanese style breakfast. 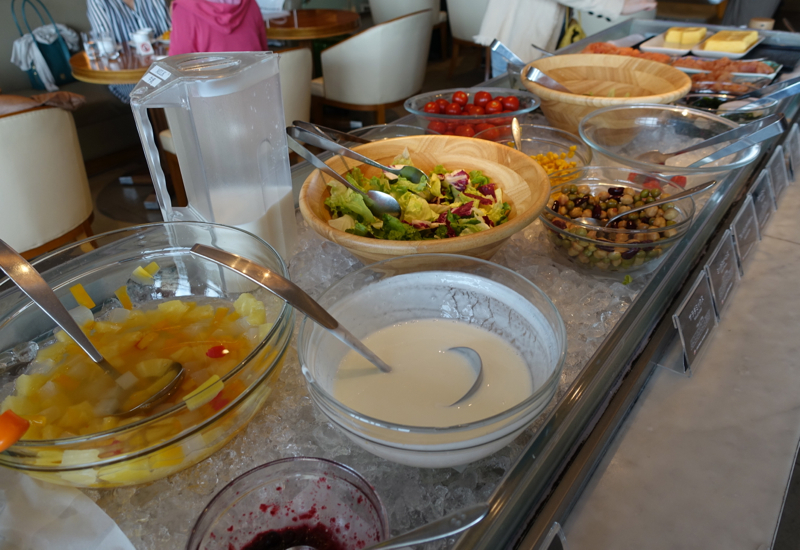 The salad bar also featured canned fruit cocktail and plain yogurt, which we mixed with the adjacent fruit compote to make some fruit yogurt. 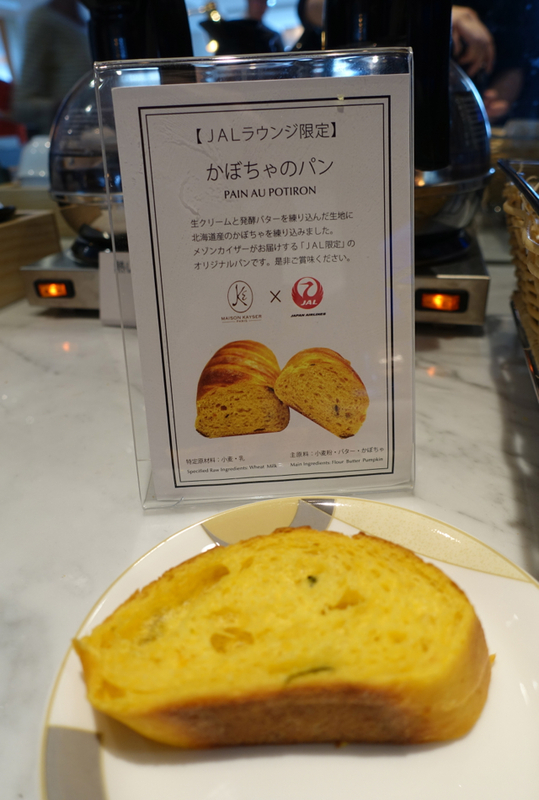 There was baguette and croissants as well, and the lounge makes much of the fact that they partner with top French baker Eric Kayser of Maison Kayser for their pumpkin bread (pain au potiron). 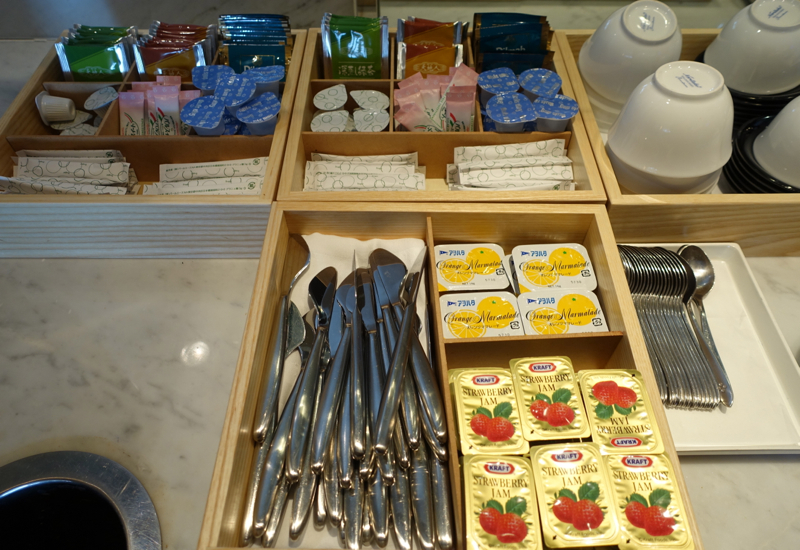 A pity, then, that the only nearby jam in sight was Kraft strawberry jam–really not the kind of jam you want to be pairing with Maison Kayser bread. Some La Trinquelinette preserves would have been much more in keeping with the quality of bread. 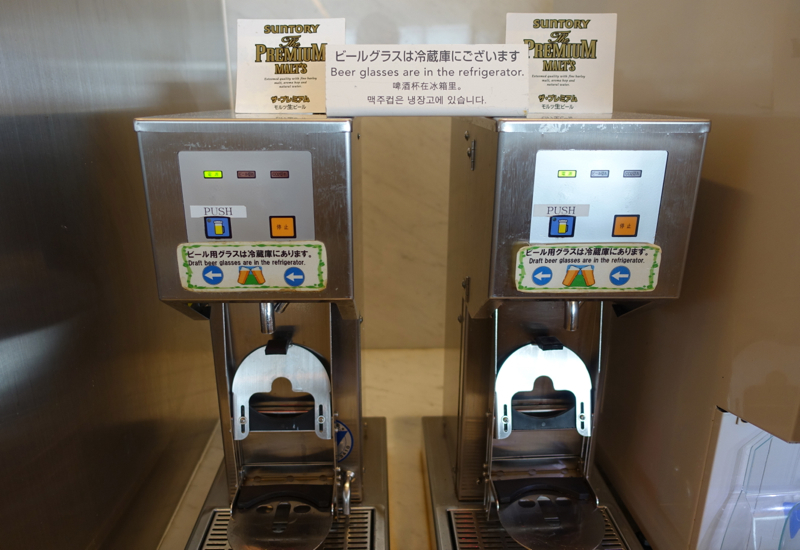 There was an espresso machine, although I wanted to be able to sleep on the flight and passed on caffeine. 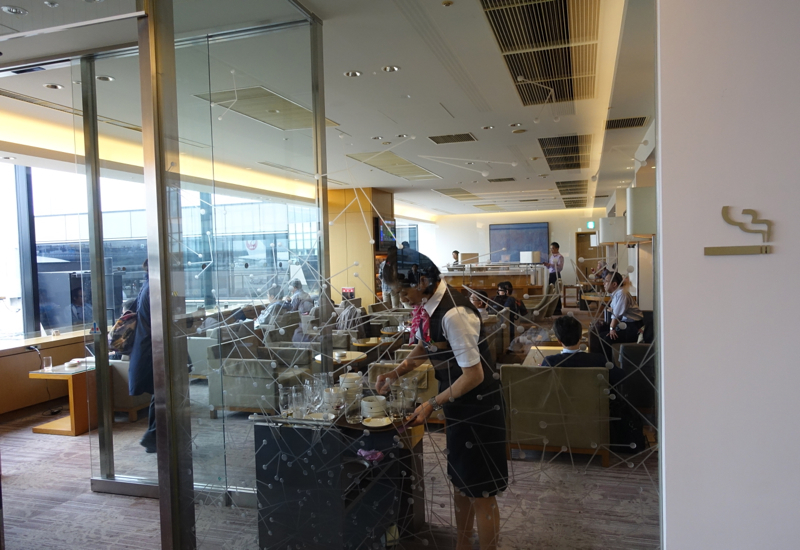 It's a good thing that Japan Airlines' Sakura Lounge is large, since the main dining room on the 2nd floor was quite crowded even in the early morning when we were there. Food offerings were ok, but frankly a bit disappointing quality-wise, except for the Maison Kayser pumpkin bread. Fortunately, the first floor seating area had plenty of space, since there are sparse food offerings there (just some cookies and dry snacks, in addition to the bar drinks and coffee/tea). WiFi worked well, although I would have liked there to be more conveniently located plug outlets. 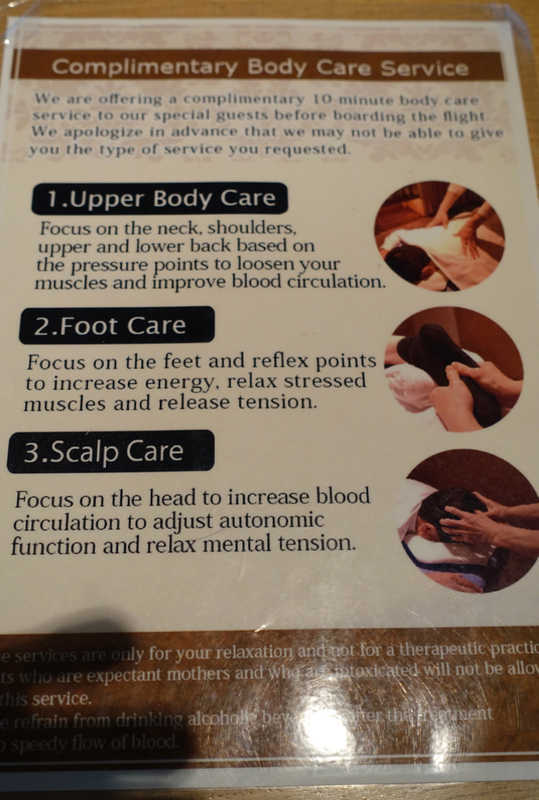 The 10 minute “massage” was good in concept, although I didn't find mine very relaxing. While I would have preferred proper sleeping rooms, the relaxation room chairs at least offered a more private space than the main seating area. And Tokyo Narita does offer day rooms with ensuite shower for a reasonable cost, which we used prior to the Sakura Lounge opening. 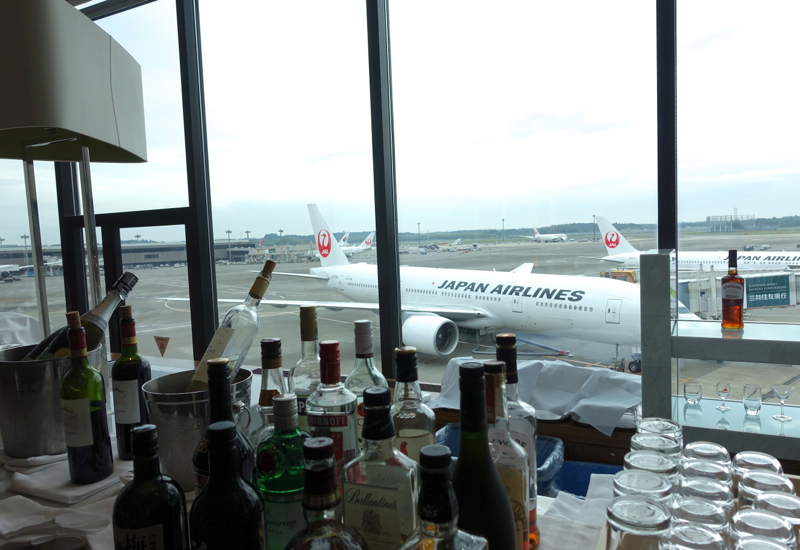 If you've been to Japan Airlines' Sakura Lounge, what was your experience?